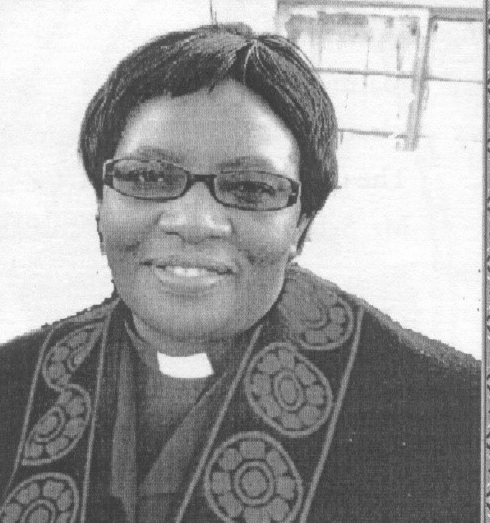 Reverend Alice Nalwembe Mulenga died on Saturday night- the 9th of November 2013 at the University Teaching Hospital in Lusaka. Rev Mulenga was the Community Development and Social Justice Secretary of the United Church of Zambia. 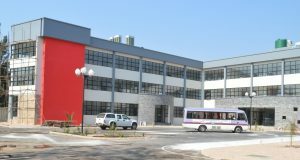 Rev Mulenga was a graduate from the United Church of Zambia University College and after completing her theological training, synod stationed her in Lusaka Presbytery, Marapodi consistory. She went for further studies in the United Kingdom at the University Of Birmingham Queens College Of Ecumenical Theological Studies were she obtained a Master’s degree. On return home, she was appointed Community Development and Social Justice Secretary, the position she held until her death. Alice leaves behind a husband Mr. Sylvester Mulenga and children. 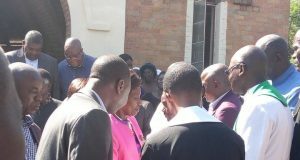 The funeral service was held at St Paul’s congregation and was attended by church workers from many corners of the country. Among the notable dignitaries was the first Republican President Dr Kenneth David Kaunda. The homily was delivered by one of the retired church fathers the Rev Committee Njase. 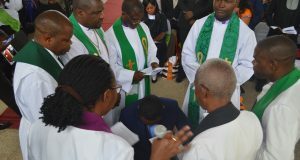 Rev Mulenga was put to rest on the 13th of November 2013 at Leopard’s Hill Memorial Park in Lusaka. She will be greatly missed. As a champion of good communication she always wanted to get a feedback from her audience, and so from time to time she would say “Hallo!” throughout her presentations. One of her last assignments on Saturday 9th November 2013 was when led the devotion at her congregation at St Barnabus which was holding a workshop on Constitution, Rule and Regulations of the UCZ.